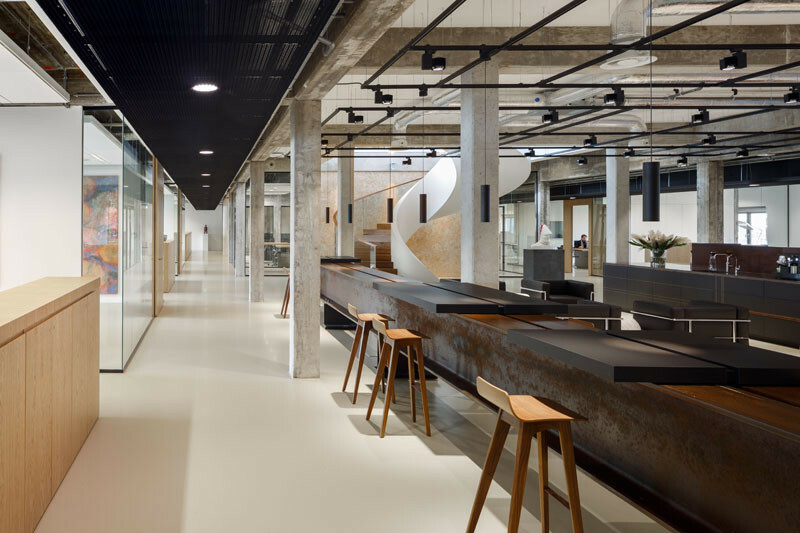 When Fokkema & Partners Architecten transformed the top two floors of the former Dutch Bank building, a listed monument in Rotterdam, The Netherlands, into a comfortable new office space for OC&C Strategy Consultants, they drew inspiration from the history of the building and its original architecture when designing the office. The office has an industrial feel to it. Mostly from the raw concrete and steel. 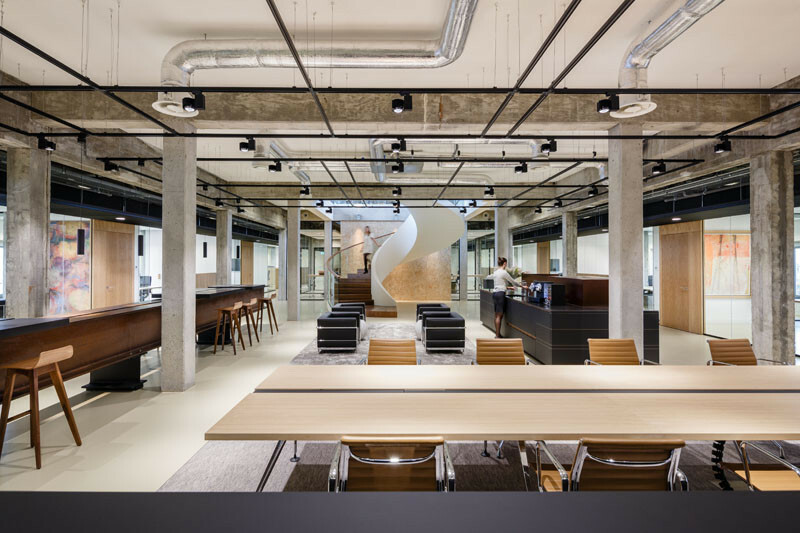 One interesting design feature they used was an I-Beam (HEA600-beam) as a counter space that runs through a significant amount of the office. 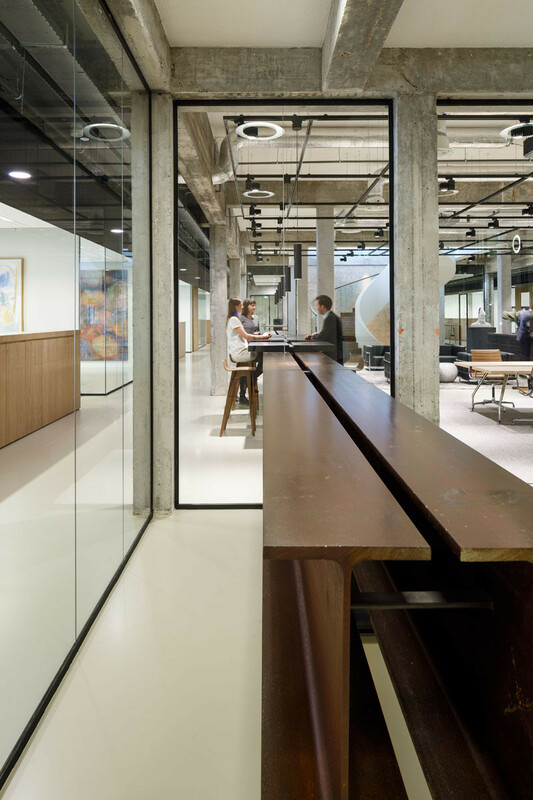 The reclaimed I-Beam that was used in the design, was originally a support from a Dutch bridge, and now it continues its life within this office.